I have practiced law for more than 25 years. I have the highest rating for legal skill and ethical conduct from the two most popular attorney rating sites: Avvo.com and Martindale.com. 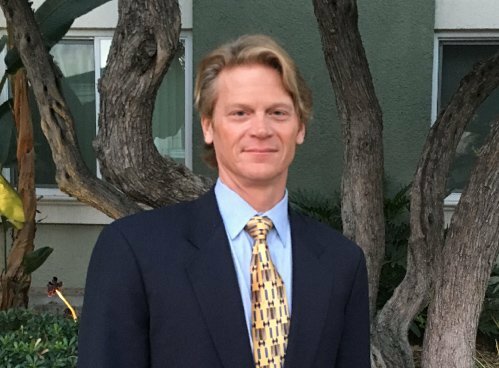 I was chairman of the IP Section of the Beverly Hills Bar Association from 2009 to 2013, and I was a member of the Family Law Sections of both the Beverly Hills Bar and the Los Angeles County Bar Associations. I ensure that my firm puts our clients' needs first. I negotiate early when I think it’s in my client’s best interest and I will litigate aggressively when the situation calls for it. I offer opposing counsel an open exchange of information followed by skilled negotiation to obtain a fair result, but if the opposing counsel or spouse tries to gain an unfair advantage, I will use the law to ensure my client gets a fair deal. My trial experience ensures that your side of the issues will be heard by the judge. I have been featured in the Los Angeles Times and the Los Angeles Daily Journal. I have written a number of articles on legal topics, including: Do’s and Don’ts When Hiring A Divorce Attorney, 4 Steps To Improve Your Chances of Getting What You Want During Divorce Hearings, and 14 Questions You Should Ask Before You Hire A Divorce Lawyer. I am also a member of the Multi-Million Dollar Advocates Forum. Established in 1993, the Million Dollar Advocates Forum (which includes the Multi-Million Dollar Advocates Forum) is one of the most prestigious groups of trial lawyers in the United States. Membership is limited to attorneys who have won million and multi-million dollar verdicts and settlements. There are more than 4,000 members throughout the country. Fewer than 1% of U.S. lawyers are members. Established in 1993, the Million Dollar Advocates Forum which includes the Multi-Million Dollar Advocates Forum is one of the most prestigious groups of trial lawyers in the United States. Membership is limited to attorneys who have won million and multi-million dollar verdicts and settlements. I have been a member for many years. Fewer than 1% of U.S. lawyers are members. Is a system to rate lawyers derived from anonymous input on an attorney’s legal skills and ethics which is provided by an attorney’s peers in the practice of law and judges before whom an attorney has appeared. I have the highest possible rating: A-V Preeminent. 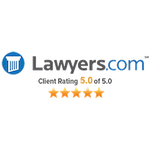 Is a website which includes a lawyer rating based on user generated content- client reviews. I have numerous reviews on the site and I have the highest possible rating: 10/10. This website is owned by Martindale Hubbell and shows both the peer-reviewed Martindale Hubble rating as well as client review rating. I have the highest possible rating: 5.0/5.0.